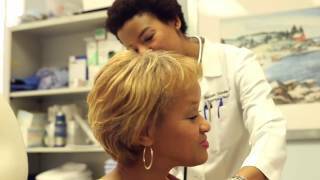 Dr. Renee Stock specializes in Internal Medicine at Dallas Medical Specialists in Dallas, TX. For more information, please visit www.dallasmedical.com. Dr. Afsaneh Ighani specializes in Internal Medicine at Dallas Medical Specialists in Dallas, TX. For more information, please visit www.dallasmedical.com. Dr. Anna-Her Y Lee specializes in Diabetes, Internal Medicine and General Medicine at Dallas Medical Specialists in Dallas, TX. For more information, please visit www.dallasmedical.com. Dr. Oren Y Zebaida specializes in Internal Medicine at Dallas Medical Specialists in Dallas, TX. For more information, please visit www.dallasmedical.com. Dr. Shalaun Hawkins specializes in Internal Medicine at Dallas Medical Specialists in Dallas, TX. For more information, please visit www.dallasmedical.com.